The oldest copy of Cantar de mío Cid, today in the Spanish National Library, was kept until 18th century in the Convent of Nuestra Señora del Espino. 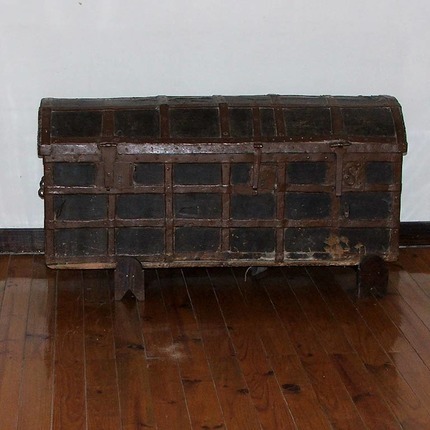 The Clarisas cloistered nuns keep the chest traditionally believed as the one where the codex was preserved during centuries. Visit: being a cloistered monastery visits are limited. It is necessary to call ahead to see if there is availability. Warning. The following text has been translated with the help of automated translation software. It will be replaced by a professional human translation as soon as possible.